Here are 10 suggestions for dog owners who want to stay alert and zen. 2. When you need your other flip-flop head to the back of the garden and look for a fresh mound of earth. That’s where you’ll find it. 3. Do not give in to your pet’s sulky expression, remind him that his feeding time is still an hour away. 4. When you can’t find sock number two, check your dog’s poops. 5. Watch where you tread when in the garden, you might just fall into a pit! 6. Hang your underwear very high up on the washing line. 7. Never leave your pet off the leash near a pond where ducks are sunbathing. 8. Hedgehogs and dogs are not compatible. 9. If you go swimming with your dog, make sure he gets out first if you don’t want to get wet again. 10. Make sure to keep the kitchen door closed at all times, it’s safer. Hi, parents and teachers! I don’t usually like to get engulfed by the turmoil of political issues, but this time I feel I must reach out to readers, specifically French ones, although my article is in English (most of my colleagues speak and read perfect English) as we are deciding on our children’s future. Last night, live on French TV, after more than two and a half hours of slinging accusations and slander, arbitrated by two overwhelmed journalists -who would have no doubt preferred a more conventional rally between the two party leaders running for the presidency, Marine Le Pen blatantly revealed to the public what she has been trying to veil since the beginning of her campaign. Her mud throwing strategy to forestall having to expand on her political plan for France’s murky future. The whole debate was a juggling of insinuations, sneering remarks and outright accusations. The National Front leader donned her papier mâché mask featuring a complacent smile, which by no means denoted contentment, but rather scorn and condescension. Does she want people to think that her adversary is a spoiled brat who enjoys playing around with politics? If that was her strategy, next time round she might want to use another one and appear less infantile herself. If the attack approach is the one we should adopt, as per the example given yesterday, in order to defend our ideals and rights, then we have been teaching our children all the wrong attitudes about life. In institutions, we are told to ‘respect’ our classmates, co-workers and ‘listen’ to other people’s opinions, but our future political leaders seem to be showing us that we’ve got that all wrong. While Le Pen seeks the long-lost respect for the teacher’s role in classrooms, Macron wants to go to the root of the undisciplined behaviour. The issue he pleads is reaching out to the child and his or her specific social or educational needs. It is crucial to build the identity and consciousness of the blooming adult and help him or her to prosper as a responsible being, especially in those cases where the child has no real support within the family sphere. We should work towards providing for children who have no means to acquire this awareness rather than punishing indiscriminately and restoring order with other- if we look into our past- rather unconventional methods of enforcing discipline. Last year, with France’s government reforms to the education system, institutions lost some fundamental cultural stepping stones, such as bilingual classes, intensive language schemes, Latin, Ancient Greek and an upheaval of the history curriculum, as well as a general open-mindedness towards the European community, which has taken so long to establish. Teachers have also lost the support of the educational aides (AVS) who provided vital assistance in classes with children needing extra guidance. Today we are faced with the issue of increasing inequalities and class separation, as classrooms are left to fend for themselves under the supervision of bleary-eyed, overtired and demotivated teachers. If the leader of ‘La France en Marche’ does as promised, the future looks brighter than it has done for quite a while now. His plan is simple and could be extremely effective-I wonder why it took so long for a leader to work that one out? Had they been to more PT meetings we might have tipped them off before. He promises to invest a large amount of energy and resources in primary institutions, which is where our children start developing as the future students of senior classrooms. How many children have been tripping and falling throughout senior school due to an inadequate education at primary level? Our younger learners are full of enthusiasm and positive prospects in their new school environment. This is precisely when we should help them develop into positive and critical thinking senior students. Here is the chance they have to learn important strategies for life, as well as easier academical concepts. So working with the younger ones and providing support in primary classrooms, as well as in the home environment will form more assured and skilful children who can proceed with more confidence onto more demanding studies. On the other hand, the leader of the NF party declared that stricter and more defined classroom rules would help reinstall the respect of the teacher’s authority, although she did not expand on the ‘type’ of punishment she had in mind. The problem does not lie in classroom management, the issue is often to be found in the child’s home environment and in the difficulty, the child’s parents have to follow his or her progression. Some do not have time and others do not have the capability or means to do so. A child does not choose the family her or she is born in. Not all of us are Sunday children. Our nation’s future lies with them. We need to help them develop into conscious, morally sane, critically thinking adults. Young people who care about what they are doing and the people with whom they coexist, as well as the environment in which they live in. “I hope…” as Sting pleaded in one of his songs, “that the [politicians] love their children too. Using physical punishment to discipline children can cause irreversible physical and psychological damage. Although this may seem far-fetched, it has been proven that using spanking, or other physical punishment on children can have a serious impact on their adult life. On the other hand, some families feel that extreme discipline is necessary to educate their children correctly. However, the question is still debatable, as the use of physical punishment on children has proven to be harmful in different ways. The first issue to consider is the damage physical discipline can cause during the child’s psychological development. Spanking a child often generates a state of anxiety and confusion, interfering with the way the child is able to analyse his behaviour. When a parent uses physical chastisement on a child, the latter is focused on the pain and is perplexed as to why the adult is displeased. In addition, he may not understand which behaviour is right or wrong, as there is no explanation, just a mere physical act. This pain may also lead to a state of resentment towards the adult, thus the child withdraws without caring to understand why he was wrong. Moreover, physical punishment curbs a child’s creativity. For instance, studies have shown that when a child feels he is threatened, he develops a fight or flight response in defence, which hampers his imagination and creativity . Furthermore, bodily punishment can also lower a child’s IQ. In fact, research at the University of New Hampshire found that spanking slows down children’s intellectual development by an average of four points, as opposed to children that have not been physically inflicted. Consequently, considering the above mentioned effects of spanking, it is safe to say that it can impede a child’s normal development. Secondly, children who have endured extreme discipline and physical punishment can develop into irresponsible and disrespectful adults. For instance, there have been case studies of physically punished children showing anti-social behaviour. The data revealed that even minimal amounts of spanking can lead to an increased likelihood of asocial reactions in children; such as, cheating, lying and bullying. Furthermore, they do not regret having misbehaved. Most of the time, the relationship with other children and teachers is turbulent and they often misbehave. In addition, as adults they are inflexible and are not open to other people’s reasons. Moreover, children who have received physical discipline tend to accumulate resentment, leading to disrespect for adults and later, in many cases, towards law enforcing bodies. Indeed, most children who are regularly spanked lose trust in their parents and feel adverse towards all adults, thus become disrespectful, because the punishment inflicted on them reinforces rebellion, revenge and bitterness As a result, these children often use foul language and are bad-mannered. Finally, they no longer have faith in the adults who administer the beating, and think that force is an acceptable factor in human interaction. In addition, children who have been used to physical reprimanding, grow up into adults who have problems relating with others. This is because, children who are slapped feel humiliated and lose their self respect, eventually closing up to the world. Thus, when a small child is slapped by a trusted adult, who is prepared to inflict pain on him this action shatters the bond between parent and child. The child is left feeling humiliated, hostile and betrayed, leading to self destructive behaviour and loss of self esteem. Eventually, repeated physical violence can damage the child’s personality and cause serious problems with social interaction. Lastly, physical punishment can be damaging for a child’s physical and sexual development. Inflicting physical pain on a child can easily escalate into abuse.Besides, slapping or spanking can cause bodily harm that is not always visible. Aside from the obvious damage; such as, broken bones or nerve and muscle damage-other injuries that are less evident can occur. This includes, cerebral haemorrhage and sciatic nerve damage when spanking on the buttocks. More important, physical punishment can escalate and be on the threshold of wife -beating, especially when parents are stressed and don’t realize they are becoming outwardly violent. Because spanking has an immediate effect on the short term behaviour, parents tend to do it on a regular basis. Therefore, this becomes a standard form of punishment on the long term for a misbehaving child. Unfortunately, this often leads to harsher and more frequent spanking as the child gets used to the routine, and can eventually lead to actual violent abuse. The result is that a child is physically and psychologically damaged, similarly to a beaten wife. Typically, physical punishment often comes in the form of spanking in the buttock region, which often leads to a confusion and sexual imbalance. As a result, when parents spank their children on their buttocks, what is really happening is that they involuntarily trigger off sexual pleasure and pain at the same time. The buttock region is an erogenous zone and connected to the sexual nerve centre. As a result, spanking a child is in fact a sexual violation. This can be disastrous for a child when he becomes an adult, as it leads to confusion as to how sexual pleasure should be perceived and expressed. Therefore, children who are physically corrected or have endured extreme discipline may become unstable and unhappy adults and have problems relating to others. To summarize, physical discipline should not be admissible considering all these side effects and damage it can cause children, as well as the negative consequences on their adult development. Motivation is one of the most challenging tasks for any teacher, regardless of the subject and area of study. Imagine the dreaded scenario of a teacher walking in to a classroom full of students who would rather be anywhere else but in that classroom. Not very encouraging is it? This is even more true when faced with young learners, who have probably had no say in the matter-their parents having chosen for them. An adult is motivated to learn because in most cases, he or she has paid for the course, where as a young learner does not have this financial motivation. Therefore, when dealing with young learners, stimulating motivation is one of your major goals if you wish to achieve progress in the language and not least of all enjoy yourself too! It is up to you as a teacher to create a motivational environment, make your young learners feel stimulated, at ease and of course show them that you are in control of the class and can run the activities successfully. The use of appropriate discipline strategies is fundamental when dealing with young learners. The way we behave in a classroom will pave the way to a effective and pleasurable class attitude and progression. The first issue to keep in mind is that you MUST plan your lessons-and that these should be planned keeping the children’s activities not the teacher’s. Each activity should not take up too much time-the concentration span of a young learner is limited. With the smaller children 5 to 10 minutes is the ideal time lapse, although it can be longer depending on the task and how much they enjoy it. Keep in mind that although you have planned the lesson, you should be attentive and open-minded to their needs. Stirrers: these involve activities such as singing, moving around, and will motivate and excite the learners. Head down activities: when learners are concentrating on a book or drawing activity. 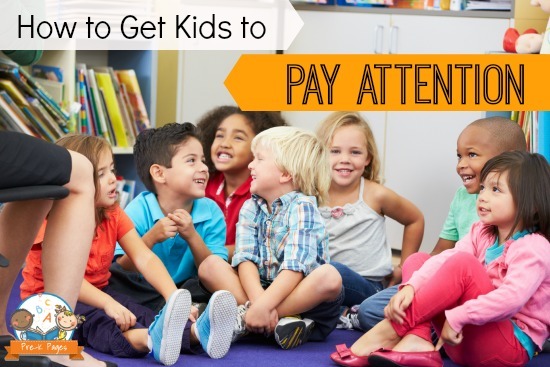 Head up activities: when they are looking at you or the board, or even at other children in the class. It is important to plan for a varied and uniformly composed lesson, using all the activity-types mentioned. If you don’t vary, this will lead to frustration and de-motivation. It is also important to organize your activities in pairs and small groups, as children need to relate with others too-this is stimulating and socially motivating. Plan for your lesson time and for the tools you need. Having prepared everything before hand will avoid unnecessary and distracting time gaps. Think carefully about how you will organize this phase of the lesson as it could lead to an unsuccessful lesson. Your young learners should be aware of what you expect from them. Make sure you tell them what they are going to do during each lesson, you will be surprise how cooperative they can get!